– Ideal for grilling or keeping dishes/sandwiches warm and crisp. – Thermostat continuously adjustable up to a maximum of 300°C, with indicator lights. – Adjustable height by means of smoothly running lifting system. 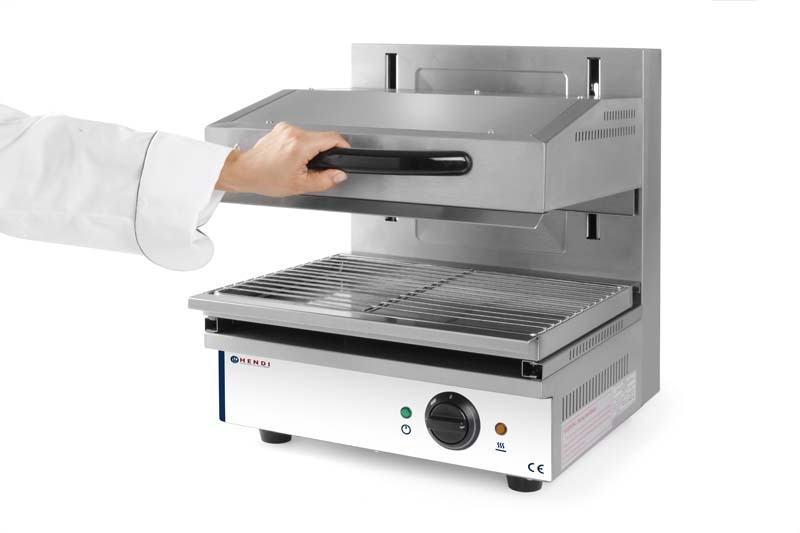 – Removable dripping/crumb tray with 440x320 mm grid.